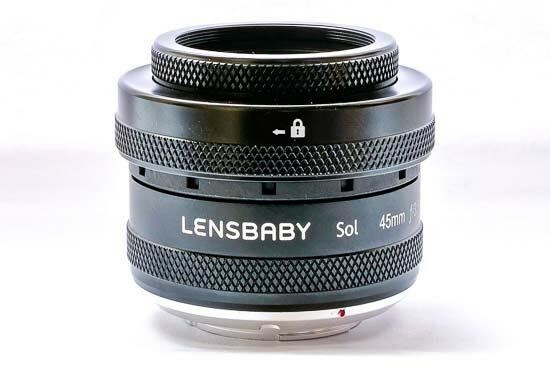 The Sol 45 is a new lens from Lensbaby, which is aimed at first-time users of the brand. It’s available in a range of DSLR and mirrorless camera mounts, with a retail price of under $200. As you’d expect from the name of the lens, it offers a 45mm focal length. Aperture is fixed at f/3.5. 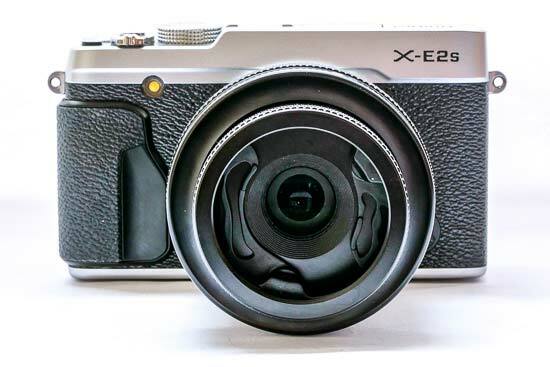 A special 22mm edition will also be available for Micro Four Thirds users (giving you an equivalent focal length of 44m if you’re using a Panasonic or Olympus camera). Other specifications include a minimum focusing distance of 14 inch (35.5cm), a 46mm filter thread, and “bokeh blades” which add texture to out-of-focus areas. 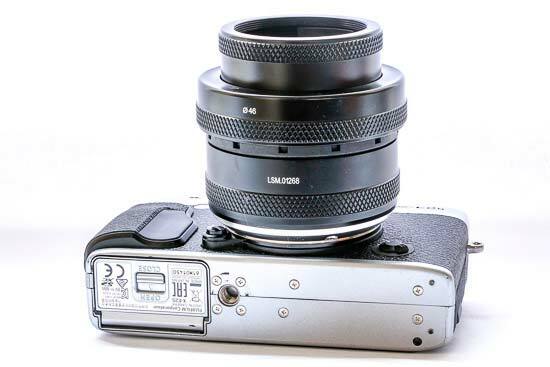 Like other Lensbaby optics, the Sol 45 relies purely on manual focusing. It will be available to buy from the middle of August, while you’ll have to wait until September to get hold of the Micro Four Thirds version. 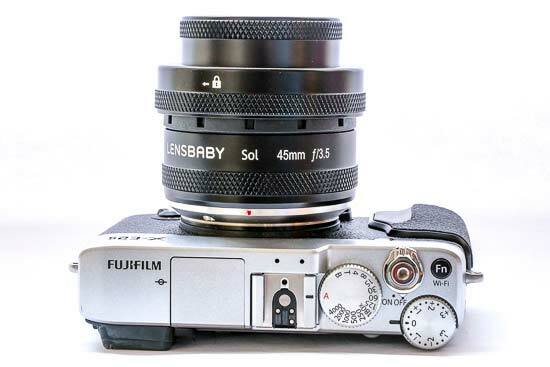 We have been using the Lensbaby Sol 45 with the Fuji X-E2S mirrorless camera. Along with the Fuji X mount, you can also get the lens in Canon EF, Nikon F, Sony A, Pentax K and Sony E, as well as the special Micro Four Thirds 22mm version. The lens has a small red dot on the barrel of it, which you can use to line it up with the red dot on the camera’s lens mount, twisting it into the correct place. Relatively compact in size, the Sol 45 shouldn’t take up too much space in your camera bag, making it a good option to pack as a bit of fun. Despite being quite small, it’s weighty enough to balance quite well with the X-E2S. We haven’t seen the lens used on other mounts, but it certainly works well with smaller cameras. If you’ve never used a Lensbaby before, the Sol 45 is a great one to experiment with. It has a tilting mechanism, something you usually find on much more expensive lenses. With it, you can tilt the point of focus around the frame to create unusual effects - a miniature effect is the most common type of thing that a lens like this is used for. That said, it takes quite a bit of time to get used to using something like the Sol 45 - you’ll probably need quite a bit of patience before you start seeing results that you really like. If you’ve ever used a Lensbaby Composer lens, the Sol 45 works in a similar way to that. It creates a spot of focus, surrounded by blur. A fixed aperture means you can’t control the amount of out of focus areas, but since you can tilt the lens around, you can bend to move the focus around the frame. 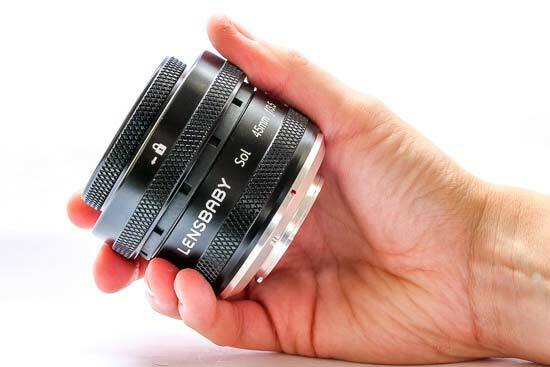 Around the middle of the Lensbaby Sol 45 is a ring which you can lock into place. To do this, twist the ring around in the direction of the arrow next to the lock. If you do that, then you won’t be able to tilt the lens. It’s good to keep it in the centre position, especially when you’re first starting out with the lens as you get to grips with focusing. Once you want to unlock it, simply push the ring in the opposite direction and tilt the lens as you see fit. When it comes to focusing, there’s a smaller ring at the front of the lens which you can use to fine tune the focus. 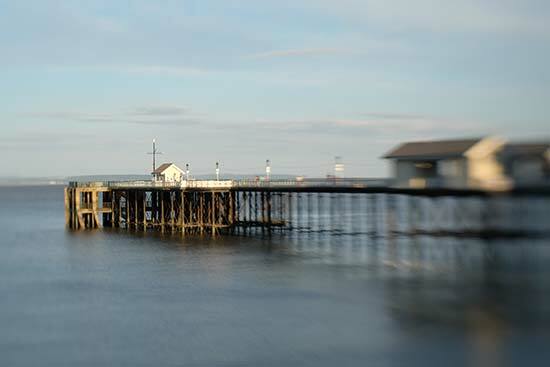 We’ve found that it’s helpful to use a camera which offers focus peaking to help you to quickly see when something is in focus. With a camera like the Fuji X-E2S, you can do this either through the viewfinder, or via the LCD screen on the back of the camera. Another creative aspect of the Sol 45 is the “bokeh blades”. These small plastic arms can be hidden away when not in use, or flicked into position when you want to use them. You can use both the blades at the same time, or just one, if you prefer. The blades mean that the “bokeh” (out of focus area) will take on texture - it works best when you’re photographing a subject fairly close to the lens. You can also rotate the entire blade mechanism to place the texture in different directions in your images. It’s worth noting that, like other Lensbaby lenses, there are no electronics. This means that no EXIF information will be recorded from the lens - in this instance it’s not that much of a problem since both the focal length and the aperture is fixed. Since there are no electronics, you may find that you need to set your camera to shoot as if it has no lens attached to it. On the Fuji system, that’s called “Shoot Without Lens”, but it may be called something on your camera system if you’re using something else. Like other Lensbaby optics, the Sol 45 doesn’t offer autofocusing. That means that you use the rotating front ring to adjust focus. There are hard stops at either end of the ring, which lets you know when you’ve reached the maximum or minimum focusing distance. Perfect focus is difficult to achieve with this lens - but it’s not designed to offer that, instead the emphasis is on creative blur and so on. The Sol 45 is a fixed focal-length lens, at 45mm. 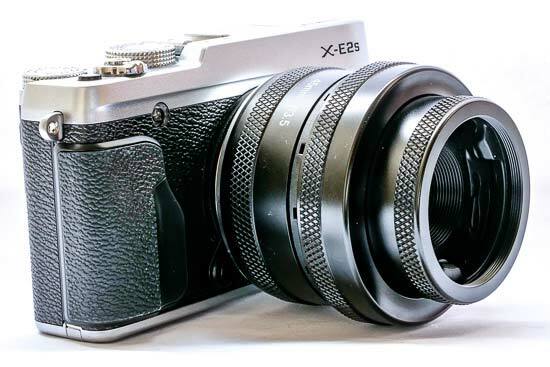 When used on something like the Fuji X-E2S, it offers an equivalent focal length of 67.5mm. 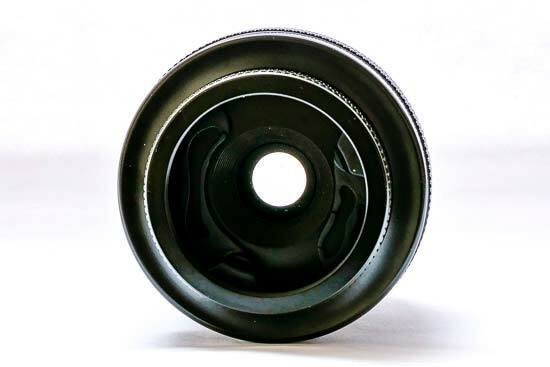 The same will be true when it is used on Sony APS-C E mount cameras, Nikon APS-C DSLRs and Samsung NX cameras. 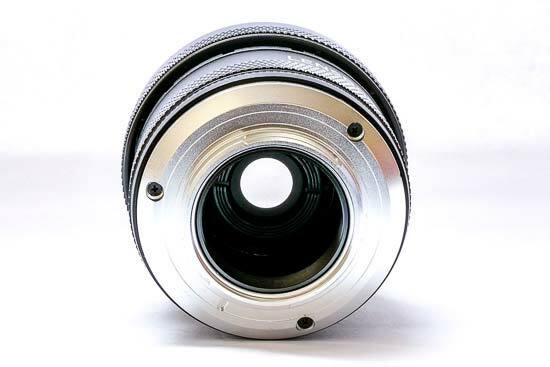 For Canon APS-C DSLRs, the equivalent focal length is 72mm. If you use the lens on a full-frame camera, then the 45mm will remain as 45mm. 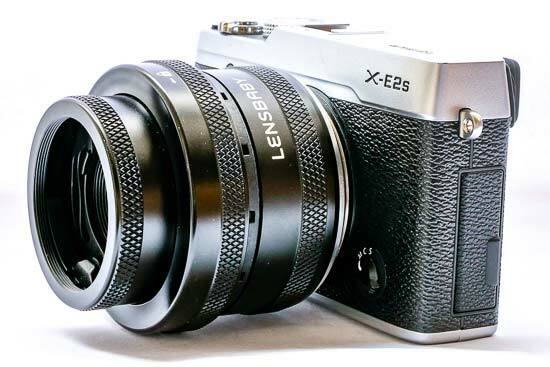 A special 22mm version of the lens is also available for Micro Four Thirds users, giving you a 44mm equivalent. Chromatic aberrations are usually characterised as blue or purple edges along high-contrast edges. Although this lens is not designed with perfection in mind, it has actually been quite difficult to find too much evidence of particularly bad chromatic aberration occurring. There is noticeable vignetting in the corners of the image - but this is almost certainly intentional and adds to the “creative” and “quirky” nature of the lens. Since you can’t change the aperture of the lens, there isn’t the opportunity to use a narrower aperture to reduce the effects of drop-off. Distortion, in the traditional sense of the word, is not a particular problem with a lens - something we’d expect to be the case from a 45mm focal length lens. 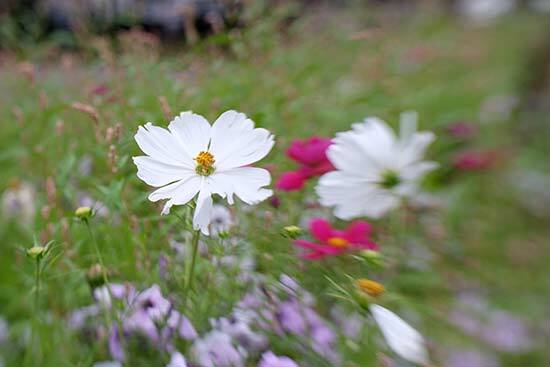 The Lensbaby Sol 45mm is not a macro lens, but you might want to use it for typical macro type subjects, such as flowers. It has a minimum focusing distance of 14inches (35.5cm). Usually described in qualitative terms, such as creamy, or pleasing, bokeh is the term used to describe the out of focus areas of an image. Since the point of the Lensbaby Sol 45 is to create blur in a large portion of the image, then bokeh is particularly strong. Out of focus areas are rendered quite pleasingly, and you can see the difference between using the bokeh blades, and not using them, in the images below. Since an assessment of bokeh is usually subjective, we have included the pictures for you to judge for yourself its quality.